A week-long festival in celebration of the Savior of the World (El Salvador del Mundo) is known as August Festivals (Fiestas de Agosto or Las Fiestas Agostinas). The festivities usually begin on August 1 and last an entire week, culminating on August 5 and 6. The feast of the Transfiguration of Jesus observed on August 6 is a public holiday and a non-working day in El Salvador. Sometimes additional days off are declared by the government either in the entire El Salvador or just in the city of San Salvador. August Festivals date back to 1525, the year when the town of San Salvador was founded by conquistadors. The festivities were originally secular in nature; they are thought to have been held in celebration of the final victory of the Spaniards over indigenous inhabitants of the region. 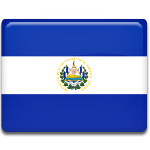 Some time later the celebration was dedicated to El Salvador del Mundo, the patron saint of the country. August Festivals in El Salvador feature masses in churches and cathedrals throughout the country, vibrant and colorful parades, sports competitions, open-air parties, live concerts, and other exciting events and activities. The religious character of the festivities is becoming less prominent with a sharp decline in the country’s Roman Catholic population.